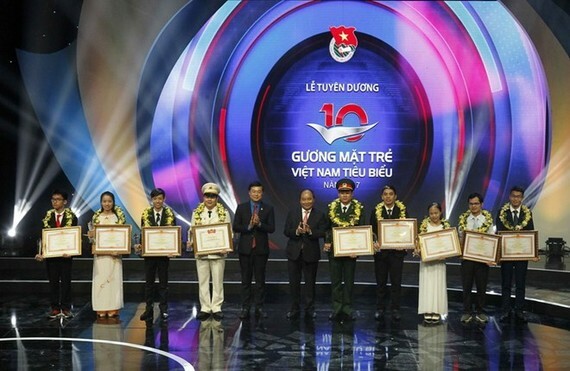 Prime Minister Nguyen Xuan Phuc asserted that the Party and State always pay great attention to nurturing and developing young talents while addressing a ceremony to honour the nation’s 10 outstanding youths of 2017 in Hanoi on March 25. The event was jointly held by the Ho Chi Minh Communist Youth Union’s Central Committee and the Fund for Vietnamese Young Talents in celebration of the 87th founding anniversary of the Ho Chi Minh Youth Union (March 26). The honoured, who stood out among 20 nominees, were active in various fields from studying, scientific research, production, start-up, security and order, and defense to social activities, sports, culture and art. 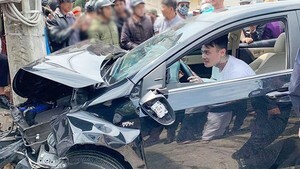 Prime Minister Nguyen Xuan Phuc said the Party and State have promulgated many policies to attract and honour bright people as well as prioritised financial resources to develop young talents. The award ceremony is hoped to motivate youngsters to make more remarkable contributions to society, promote emulation campaigns among youths, and raise public awareness of educating and nurturing young generations, he said. The PM hoped the winners will promote their creativity and apply new scientific and technological advances in the fields of their strength to create more social and economic values, especially when the country is working to seize Industry 4.0 opportunities. He urged the Ho Chi Minh Communist Youth Union and localities to join hands to nurture young talented people. Through its 21 editions, the annual outstanding youth award ceremony has honoured 210 excellent individuals. Another 210 others have received the potential youth title.